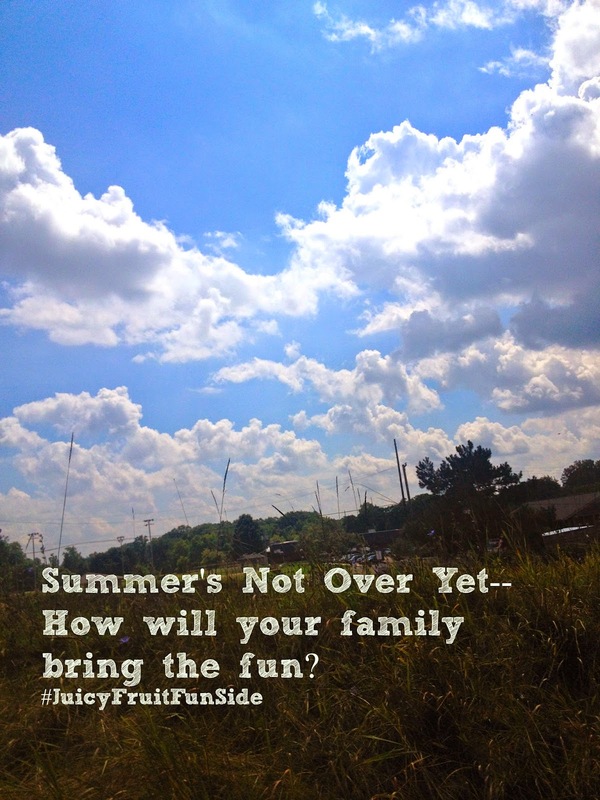 This post is part of the Juicy Fruit® campaign called Juicy Fruit® Fun Side. New Juicy Fruit® Fruity Chews are available in two flavors, Juicy Fruit® Original and Juicy Fruit® Strawberry. 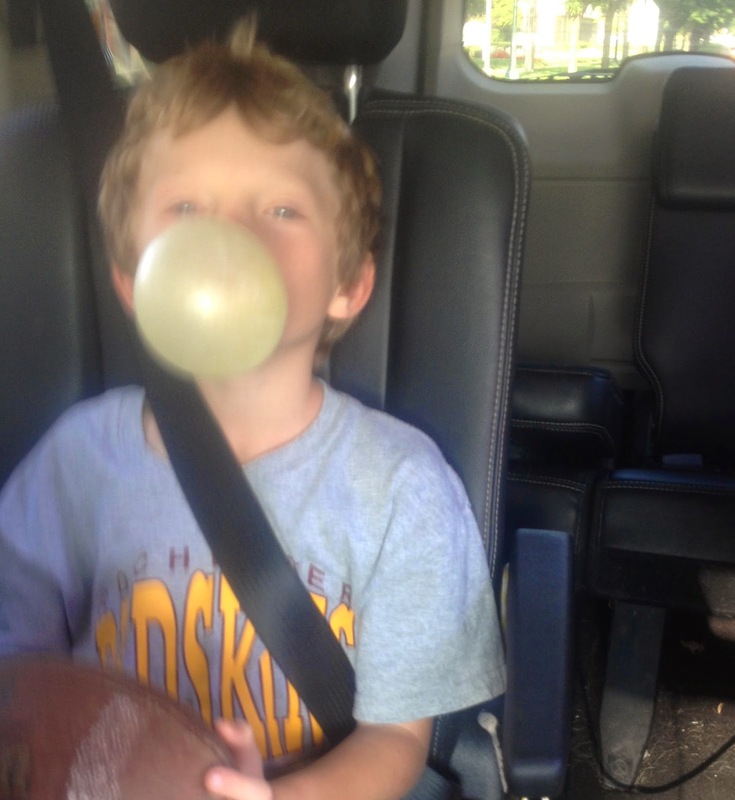 This past July, Juicy Fruit® launched the new Juicy Fruit® Bubble Gum, offering the great bubble blowing experience that kids and adults love. We have one more week of summer vacation. One more week of nothing we have to do except maybe bike rides in the middle of the day, pancakes at 10 a.m., nature hikes after lunch, spontaneous trips to the zoo or the pool. One more week to fill with as much summer fun as we possibly can. JT hanging out on a bench because he can, because it's still summer. I am going to miss all the adventures for sure, but what I'll miss most is all four of my children being together. When school starts, they will be in three different schools and busy with friends and homework. And that is all good. They need their own lives, their own identities outside of our family. 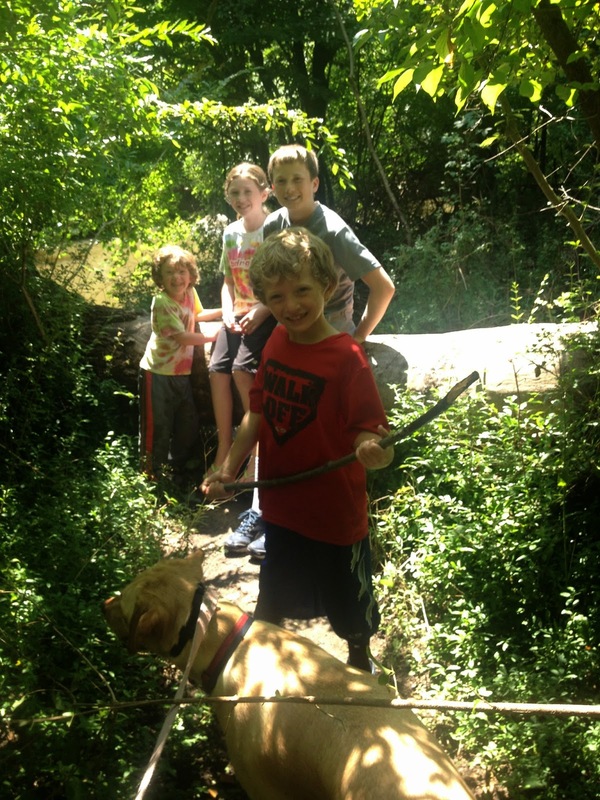 It just makes these summers when they still want to go on nature hikes in the afternoon together so much sweeter. Just to be very clear, my kids fight and roll their eyes at each other and me. They don't think I'm very cool at all and there are times when they think I'm "the meanest mom ever." But they act that way and think those things in the fall, in the winter, really all the time because they are normal kids. However, I find it less upsetting in the summer. Maybe it's because it's sunnier, maybe because we are less busy and less stressed, and maybe because after the bickering and the bugging, I can walk into a room and find them snuggled on the couch together watching a show. So, we have one more week of summer vacation. Lucy is soaking it up--the sun and the freedom of summer. 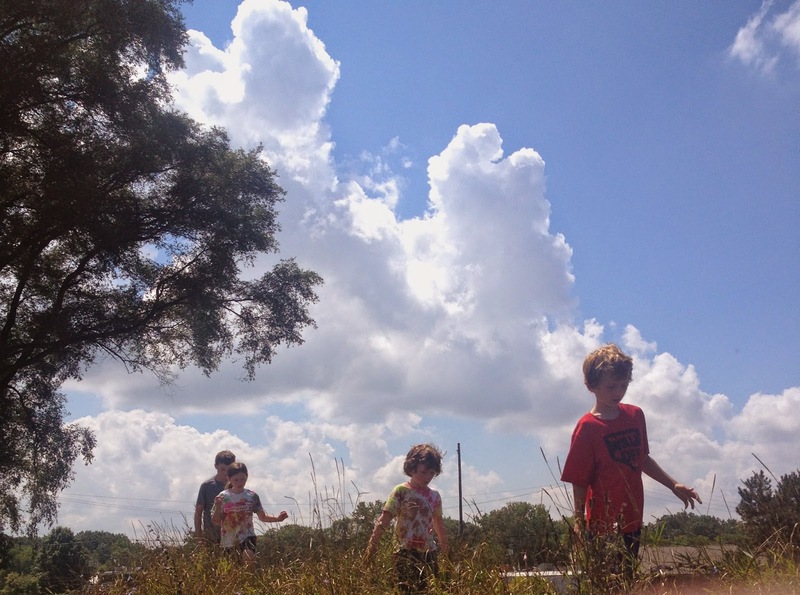 During this week, we plan on more nature hikes, easy going mornings with pancakes at 10 a.m., spontaneous trips to the pool or the zoo or maybe a beach or a farmer's market. We will eat ice cream outside, stay up late, fight and make up, ride bikes, find a sprinkler to run through and enjoy not having to do anything if we don't want to. 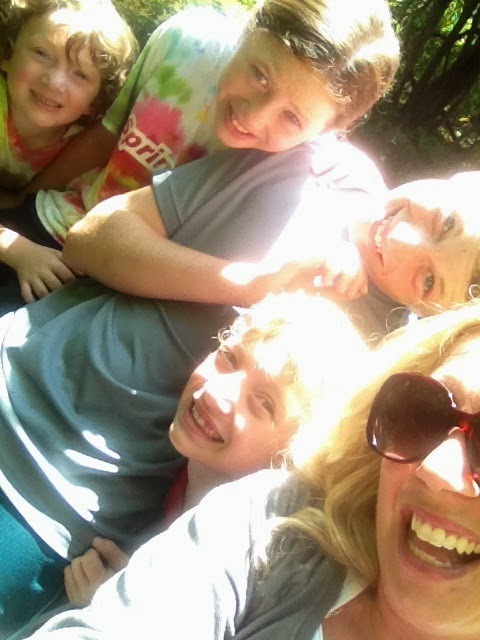 I will revel in the precious joy of being with and watching my kids, my family, enjoy being together. As summer winds down, do you have special plans? What will you do during these last few days of summer? Trips? Concerts? Nature hikes in the middle of the day? How will your family bring the fun? Check out Juicy Fruit's new sugar free soft chew gum (available nationwide in a 40-count bottle (MSRP $3.49)) and bubble gum (available in a five-count chunk (MSRP $.079)). Well, the kids headed back to school today, but we're not quite done with summer. A preseason Steelers game on Thursday evening and a quick trip out of town this weekend will make it still feel like summer. Hope there isn't too much homework! Oh my gosh. You just made me realize that when my big one finally goes off to school next year, I'll be separating him and his brother! That will be hard! I agree with Kristin! 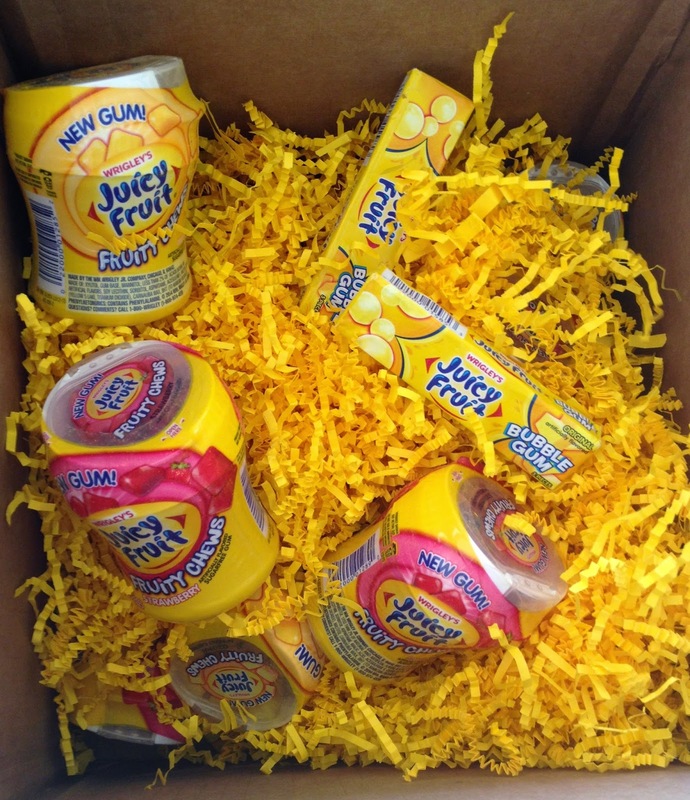 I definitely associate the taste of Juicy Fruit with my childhood! We only have 3 days left of summer, so we will be squeezing in as much swimming as we can. I just love that picture of the kids snuggled together - the sweetest! Nothing kicks me into gear like the last week of summer. It's like i'm able to pull patience from places I never knew I could store it.